The leftward march of liberal Protestantism is hardly news, but on occasion a development arises that serves as something of a parable of that trajectory. Such is the case this week with news from California that the Claremont School of Theology, a school historically related to the United Methodist Church, is transforming itself into a multifaith center for the training of clergy. In a press conference held on June 9, leaders of the school formally announced the “University Project,” which will involve the addition of programs to train Muslim imams and Jewish rabbis. Programs to train Buddhist and Hindu religious leaders are to be added in the future. The next step toward what? In a sense, the announcement from Claremont is indeed just a “next step” along a leftward progression set decades ago. Liberal Protestantism long ago grew embarrassed by the exclusive claims of biblical Christianity and the historic Christian faith. Adopting pluralist and inclusivist reconstructions of the faith, liberal theologians and theological schools have been pressing the margins for over a century now. Given that trajectory, a multifaith theological seminary was an inevitability — the only question was when and where it would happen. Claremont answered that question this week. 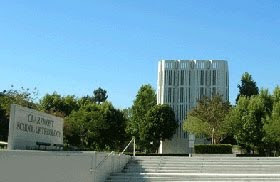 The University Project at Claremont is not to include programs to train Muslim clergy in cooperation with the Islamic Center of Southern California and programs to train Jewish rabbis in concert with the Academy for Jewish Religion-California. Those words point to the reality that the students who will be drawn to these programs will be, by definition, students who are looking for a multifaith theological education. The spirit of inclusion that underlies this project is, as in the larger ecumenical and interfaith movements, an inclusion of the fellow liberal-minded. The United Methodist Church is decidedly unexcited about the plans announced by the Claremont School of Theology. Earlier this year the denomination’s University Senate voted to withhold its contribution to the school, citing “a substantial reorientation of the institution’s mission.” Nevertheless, the loss of this funding (approximately $800,000 this year) is offset by a $10 million pledge from others. Claremont President Jerry Campbell expressed optimism that the church would restore the school’s funding. Indeed, Claremont has been defining liberal Protestantism for decades, serving as a center for the development of process theology and other revisionist movements in modern theology. This latest move falls right in line with that trajectory. What this implies, of course, is that ministers, priests, rabbis, and imams, along with Buddhist and Hindu spiritual leaders, are just different varieties of clergy and that the different religions are just brand names for different traditions. Well, at least the newspaper seems to understand something of what is at stake, even if it has to offer a rather awkward explanation to its readers. Biblical Christianity stands or falls on the exclusivity of the Gospel of Jesus Christ and the command of Christ in the Great Commission. This move by the Claremont School of Theology illustrates what happens when churches and denominations allow their institutions to embrace theological liberalism. Watch this development carefully. Claremont may be the first multifaith seminary, but it will almost surely not be the last.